But a mere listing of James’s professional accomplishments, impressive as they are, tells only part of the story of who James Jones really was. His legacy must include his students, who speak, almost reverently and certainly affectionately, of classes, directions, and time in the field with “Dr. Jones”, as they still call him, even after graduation. James’s students, both graduate and undergraduate, are not only well versed in geology, but are well prepared for the professional world beyond the university. He was particularly concerned about the students’ entry into professional Earth Science, promoting their education by founding a Student Chapter of AAPG, and coaching them on professional behavior at meetings. 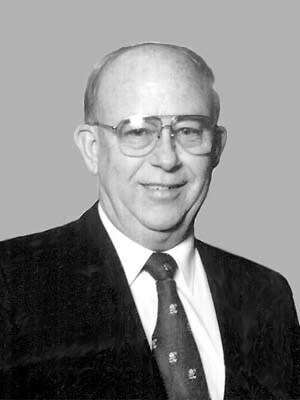 James encouraged student membership in professional organizations, successfully lobbying for scholarships, and sponsored the local chapter of the Student Geological Society at UTSA. His students hosted an ambitious field trip for the Southwestern Association of Student Geological Societies in 1994, which set a record for attendance. James continued as educator outside of the classroom in many other ways as well; he was a Boy Scout leader and could always be counted on to help judge science fairs.